Welcome to the World of Barbara Devlin! In case you haven’t noticed, things have changed with the launch of a completely new site, designed by the incomparable Carla Chadwick, and the assistance of my IT pro Kimberly White, of Kimberly Studios. Given this summer’s impending debut of the new Pirates of the Coast, I need a platform that reflects all of my work, not just the Medieval and Regency knights. To celebrate the fresh look of BarbaraDevlin.com, I’m hosting a weeklong lovely giveaway. Prizes include a Kindle Fire 7,” five 10$ Amazon gift cards, and your choice of ebooks from my shelf (excluding multi-author sets). All you have to do for a chance to win is (1) tell me what you think of the site redo, and (2) drawing from my books only, tell me your favorite couple from the Brethren tales, and tell me why you love them best. As always, thank you for stopping by and for supporting my work. I love your new website, it’s absolutely beautiful. Every aspect of the site reminds me of you. Thank you, Gina. It’s been so exciting to watch it come together. Omg….I really really love it…totally caught my attention on Facebook and not many things do. Loving the map and gold and daggers…awesome..interested on how you came up with the idea??? Love Your new design. Tis really Beautiful!! You no I love it…..as I love all your books. Style and humor fit me to a T……. Jessica, thank you, so much for the kind words. And I’ll always be partial to Trevor and Caroline, because that’s where everything began. I love the new site, it’s so easy to navigate! I would have to say Rebecca and Dirk have been my favorite’s so far. There was a great character build with them and lots of emotion. Thank you, Natalie. The idea for the site was born of necessity. 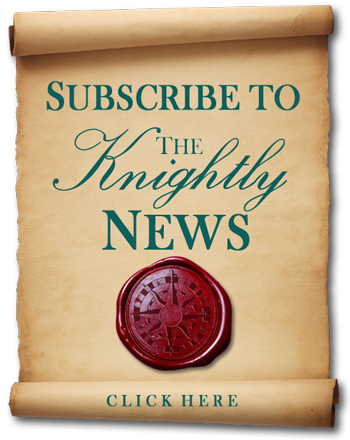 I need a platform suited to both the medieval knights, the Georgian and Regency knights, and the new pirate series, which launches this summer. I love the map from the original site, but I wanted more color, and I needed treasure. I think it works. Thank you, Diana. I’m very proud of the site. Carla Chadwick is my graphics designer, and Kim White, with Savage Sites, is my IT security expert. Lauren, I have a soft spot for Rebecca, because I drew heavily on my undercover work as a police officer to build her character. And I gave the couple the same difficulties I faced as a single cop, trying to date. And I’m thrilled that you like the new site. I couldn’t be happier with it. This is one of the most beautiful website I’ve seen. I absolutely love it. It’s appealing… and since I love old maps, I’m well served. As to who my favorite couple is, as I haven’t read the whole series yet, I have to say that for now, I do have a soft spot for Lady Rebecca and Dirk Randolph. I love spy stories and those two really fitted well together. The site looks great! I love the new seal. How can I pick just one bretheren couple? They have all kept me reading and now the origins have captured my attention! Royal commission proudly displayed in field of sailing map framed with golden & jeweled rewards. All linked to the the fascinating novels linked to mystery & danger & tied together with romance. How can readers resist your books? I love the characters caught in the web of love & suspense. Congratulations with design. My favorite couple is Arucard and Isolde. He is a Virgin Templar Priest that barely avoided torture and death. She comes from a violent father. They have so much against them but sticking together they are strong and almost invincible. I also enjoyed how the other former Templars reacted to one of their number having to become sexually active. Loved the humor, action, adventure, despicable villains, and enduring love. I love the new look of your site, perfect choice of colors, so smooth and relaxing! It’s easy to search for your list of books! Well done Barbara! I really love the design; I scrolled by it on Facebook, but instead of scrolling past, I actually stopped! It’s beautiful! Love the new design and find it beautifully done. As far as your question each of your sets of characters are unique in their own fashion. Love the teal color! Looks good! I love the site redesign! Beautiful new site design. I loved The Brethren Series and am eagerly awaiting the new releases at the end of this month and this summer. I loved the first book with Trevor and Caroline. I love your new design! Very enticing! I really like Rebecca and Dirk as a couple! This is beautiful, you always do such a wonderful job on anything you do..Love you and your books…! Barbara – I absolutely LOVE your new site. The colors and graphics are amazing!!!! Looking forward to Demetrius and the Pirates of the Coast. So much good stuff headed our way! Which couple do I like best? Gasp! Oh Barbara that’s like asking which child is your favorite 😉 I just can’t. I have enjoyed all of them. Each come with their own set of wicked and delicious goodness. It’s impossible to put down my favorite! Congrats on the new site and I am counting down the days till your next release! I love Jason and Alex, Dalton and Daphne. I’m so looking forward to the next story of your Knights. Gorgeous sight!! Beautiful colors and graphics. You’re new to me so I don’t really know what the old one looked like. I do know I love your site. I absolutely love Old World decor, especially the nautical aspect. I have your first stories of the Brethren Coast lined up to be read. The Barbra Devlin World isn’t just about a site change for me, it’s about Barbra Devlin, all of her character and each of her characters. The site is about how Barbra Devlin view’s the world and it how it changes her views. The characters become more in-depth and detailed as does Barbara’s research reflecting this amazing interactive website! Congratulations, Barbara Devlin and company! Stunning results! I want my favorite couple to be the newest book couple, Pirates of the Coast! (I just know they will be the ones I love best). I absolutely live the new look. Being an avid quilter i can see that a wall hanging quilt made from this layout would be amazing. I think Lady Rebecca and Dirk Randolph are two of my favorites. For some reason Rebecca reminded me a bit of you Barbara. Congrats on the new look. This contest is now closed. In the process of selecting and contacting winners. Thank you, everyone, for helping me celebrate my launch.